I received a very pretty package this morning from Graces Laces on Etsy. 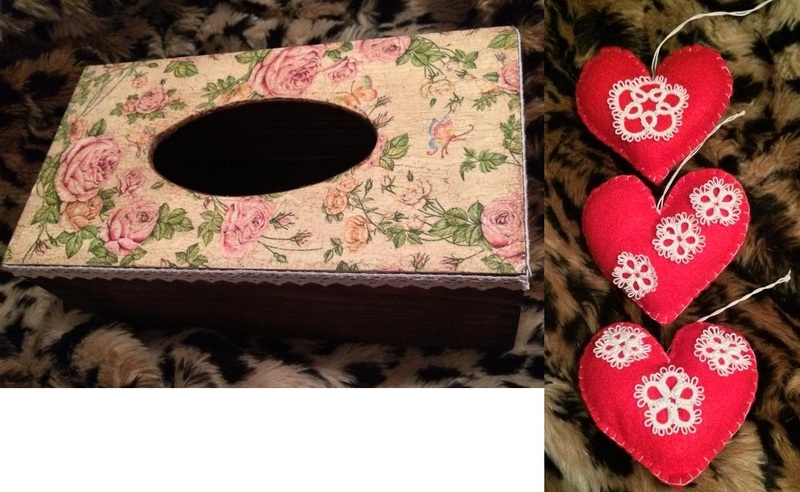 Graces Laces is a UK based Etsy shop which specialises in cute home decor items using lace, decoupage and general prettiness. Grace has been kind enough to send me some products to show you guys and give my honest opinion on. My pretty decorations were packaged inside this sturdy wooden tissue box with a decoupaged top and lovely lace around the edges. The bottom slides off to allow you to put your tissue box in there which is fab. The decoupaged top has been well varnished so it won't get scratched at all, it's lovely and shiny and the box is superb quality in general. I also received 3 cute hanging hearts with hand tatted lace on them! They are perfect Christmas decorations but I think they could equally be used all year round as I adore hanging hearts - they're all over my home in various colours, sizes and styles! 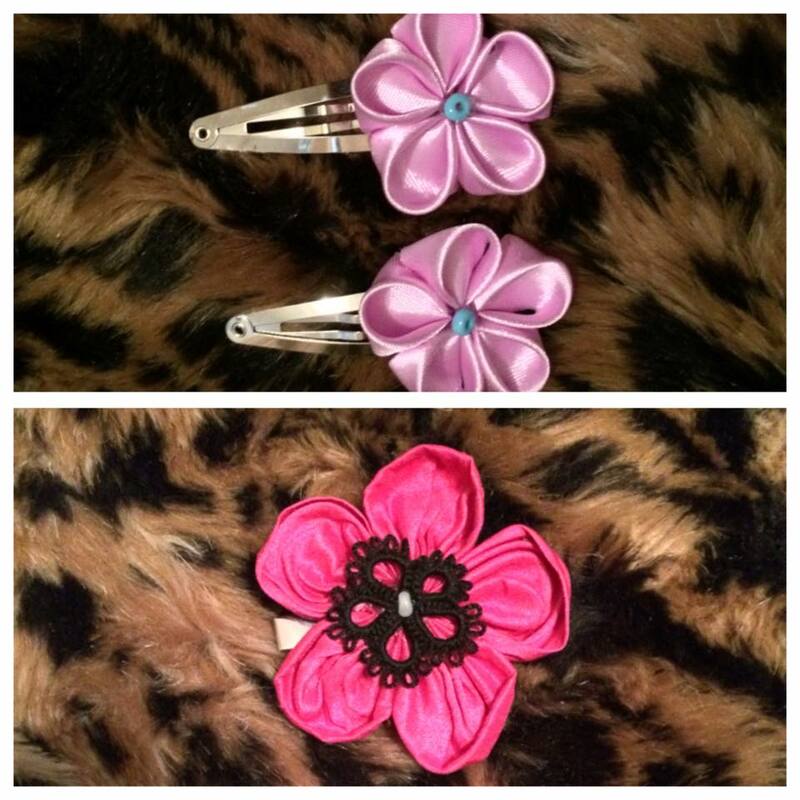 Grace also sent me some pretty handmade hair clips. The flowers are created using ribbon which I think is so cute, it's a Japanese method related to origami called kanzashi. The petals have also been sealed on heat. These clips are so cute, it's really clever how Grace has made these and they're really neat! I also received these lovely hand tatted snowflakes. These will look perfect in my home at Christmas time, they're really beautiful and dainty. 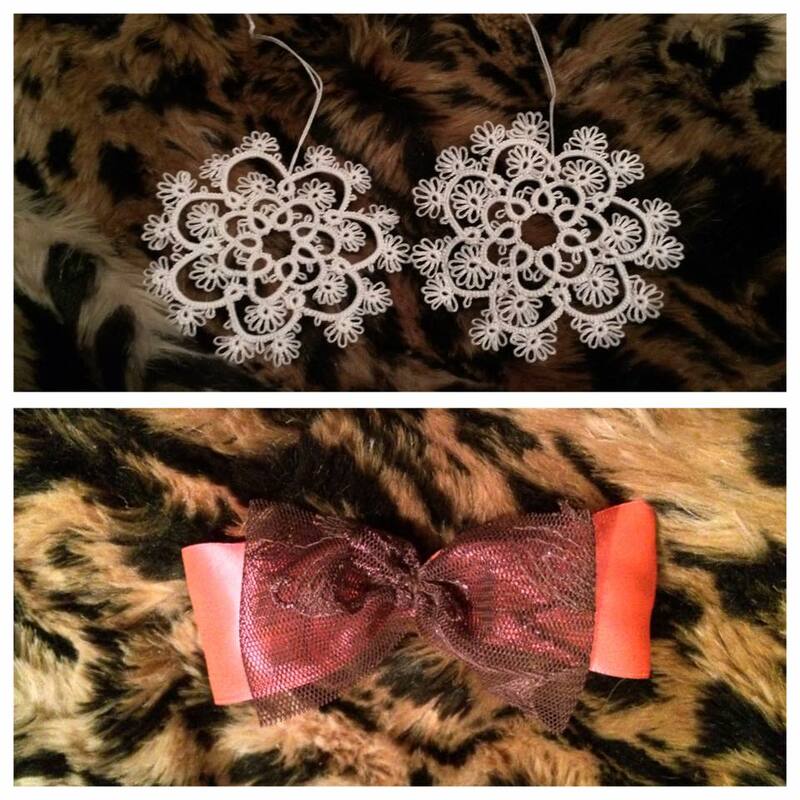 The final item is this cute double bow on an alligator clip. I love the lace detailing on there, how pretty! Definitely check out Graces Laces on Etsy for some pretty handmade home decor. Her Christmas decorations are truly beautiful and her wooden creations are so incredibly well made.